Most Veterans have experienced the VA Claims process the same way for 40+ years…. ….a VSO files some forms…..we wait 1-3 years….and are denied. Maybe we hire an attorney, maybe the VSO appeals….but we wait 3-5 years (if we’re lucky) for a decision that sends the case back into the Hamster Wheel because the VSO and the VA didn’t get the right – or any – evidence. So we wait again. Maybe 3 more years. By the time we get a decision in our claim or appeal – if we do – we are thoroughly exasperated with the process and are so distasteful of the VA and its bureaucracy that it seems like their mission is to dishonor and disrespect Veterans. And through all of that nightmare…. We are told we can't make the VA move any quicker. That we can't get better results in our claims. We are denied access to real help by those who tell us we must use free VSOs who may not be trained to properly handle our claims, or who may not have the skillsets to move large case-loads rapidly through the VA Hamster Wheel. We are told we have to hire attorneys and pay 20% or more of our hard earned benefits to get results. These are the messages I heard - loud and clear - when I filed my first VA claim back in 2007. And these messages of Helplessness and Powerlessness conflicted with everything I learned about myself in Basic Training, Ranger School, Airborne School and 11 years of Army service as a Field Artilleryman. My name is Chris Attig. I am an attorney and partner at the law firm of Attig | Steel. My law firm exclusively represents veterans battling the VA at the Court of Appeals for Veterans Claims and the U.S. Court of Appeals for the Federal Circuit. I served in the US Army from 1993 - 2004, and then became one of the first accredited VA attorneys. Since 2007, I have fought the VA alongside my brother and sister Veterans - from the VA Regional Office to the Board of Veterans Appeals, and at the Court of Appeals for Veterans Claims and the Federal Circuit Court of Appeals. I have represented thousands of veterans in the VA disability and compensation appeals process. I read every precedential CAVC and Federal Circuit decision, scouring them for ways that other veterans can learn to improve their claims and appeals. I search BVA decisions and dive in-depth on particular topics to discover what the BVA is and is not doing in similar claims and appeals. I write every post on this site - every article, every video, and every book. All of the content is the result of hours, weeks, months and years of exhaustive research and practice in the field of Veterans disability compensation claims and appeals. The Army taught me that with discipline, practice, persistence and optimism I could conquer any obstacle laid in front of me. I categorically reject the notion that we Veterans cannot Take Back the Power in our VA Claims. I categorically reject the notion that we are Helpless, Powerless Victims of the VA. I categorically ACCEPT the idea that it is possible to cut through the Fog of VA Claims and get better results ... in shorter time-frames. HOW Exactly Do Veterans Take Back the Power at the VA? 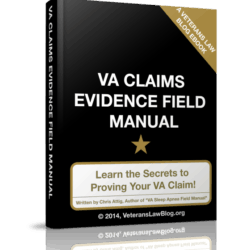 Since 2007, I have studied and reverse-engineered the VA Claims process. I've worked hundreds of cases for Veterans and studied thousands more C-Files. I read and analyze several hundred Board and Court cases. Every year. In doing all that study, I have learned certain "tried-and-true" principles and practices that, when applied to a VA claim or appeal, will produce dramatically different results than we have been trained to accept. I'd like to tell you about those principles. But I'll be honest - there are some of you that I cannot help. If ANY of the following sound like you - stop reading right now. Close this web page and go back to doing things the same old way, expecting different results. Are You Here to be Entertained? If you cannot roll up your sleeves and do the work - and instead are here to be entertained by rants against the VA and its incompetency - I cannot help you. Do You Think Veterans are Entitled to Anything in the Civilian World? If you believe you are entitled to an easier life in the civilian world, or are entitled to any privilege merely because you served in the Armed Forces - peacetime or combat - I cannot help you. If you "know-it-all" already, or aren't willing to learn methods that are dramatically different from what you've been taught about VA Claims, I can't help you. Look at yourself in the mirror, and ask if any of these descriptions match your core beliefs. Because if that is the case, close out this page - I cannot help you. The Veterans Law Blog® Can Lead You Through the Fog of Your VA Claim. The Veterans Law Blog® will not represent you in your claim - instead, it will teach you how to handle your claim yourself. There is nothing more satisfying than using the hands and the mind that the good Lord gave you to build a better VA Claim that is more likely to win. REAL Change Should be Expected. You can't change the VA - but you CAN change your VA Claim. You Have MORE Power over the VA Than You Realize. There are some very common reasons that the VA keeps screwing up your VA claim - almost every one is in YOUR POWER to fix. It's less about WHAT you say then HOW you say it. Clear and Concise arguments, resting on 5-Star Evidence, will get results from the VA much faster than you thought possible. There IS a Path through the Wall. There are 3 ways to deal with walls that the VA puts up in Claims or Appeals - through them, over them, or under them. Anything worth doing is going to push you to your physical and mental limits. Always Maintain Dignity in your Conduct. Being polite, civil and persistent - no matter how outraged you are - will keep your claim moving through the process. Do You Want Experiences like Those? Click the Orange Button below and tell me your name and email. 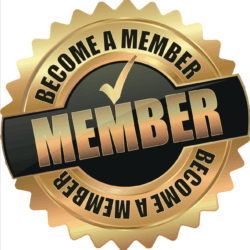 Read the emails I will send you, showing you around the Veterans Law Blog® and what it can do for you and your claim. 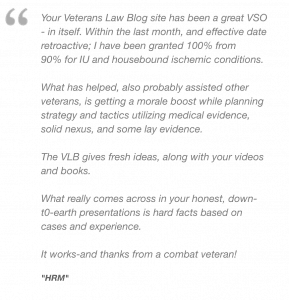 Subscribe to the Veterans Law Blog® and begin to Take Back the Power in your VA claim!